Scrub longer between empty and fill cycles with large-capacity 32 gal/ 121 L solution tank and 37 gal/ 140L recovery tank. Simplify operator training with easy-to-understand​ controls featuring variable speed control bail, propel toggle and speed setting within reach. 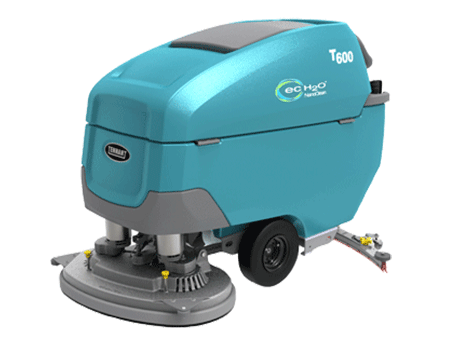 Reduce handling of daily cleaning chemicals with optional ec-H2O NanoClean® technology. 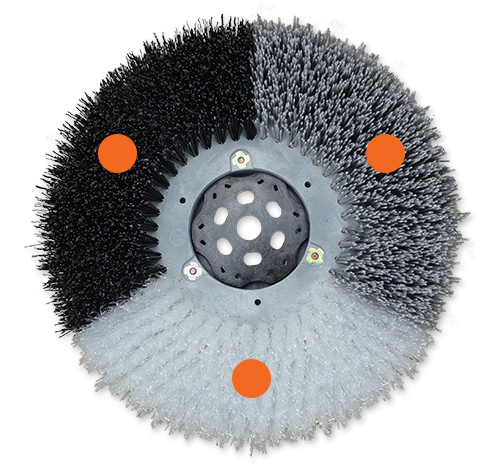 ​​Ensure consistent cleaning results and reduce maintenance time with an easy-to-operate and maintain scrubber. 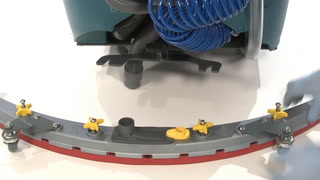 Increase ease of filling the scrubber with auto-fill. Standard on T600 and optional on T600e. Quickly identify when brushes need replacement with the built-in yellow brush wear indicator. 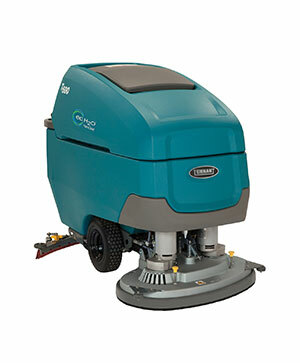 Clean virtually any hard surface condition and maximize your return on investment with a wide range of cleaning heads, including a 28 in/ 700mm orbital option.